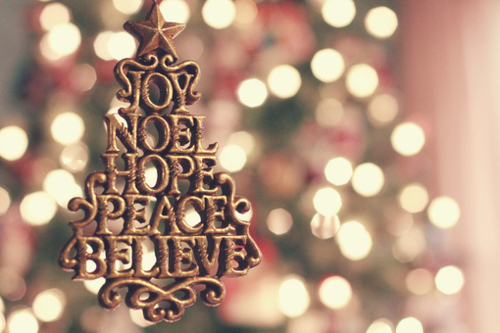 Christmastime in ministry world can be stressful. Sometimes we can wonder why we put up with all the long hours and crazy demands. But, this time of year can also afford us a chance to break out of the mold and do something a little different. You may decide to stretch your creative wings with video. If so, why not try to create something with enchantment (are we allowed to do that in church)? How can you bring some Christmas spice to your sermon intro or story video? 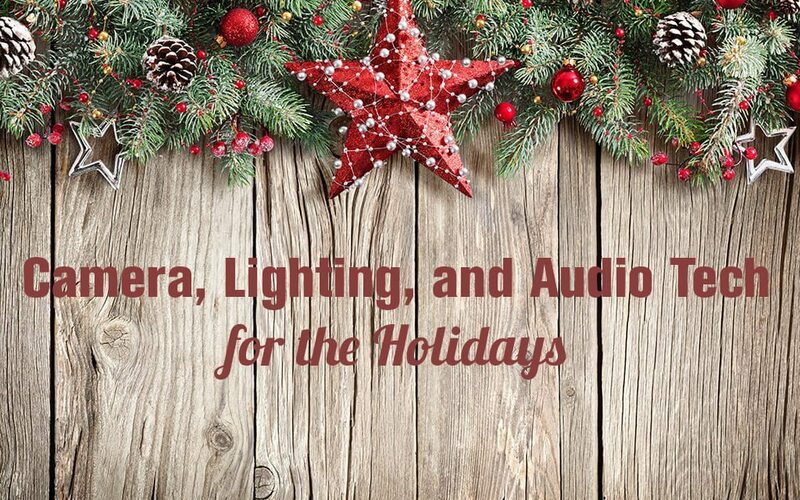 Snuggle up to the fire, grab some egg nog (non-alcoholic, of course) and check out these three ways and the associated tech to add holiday cheer to your videos. Utilizing shallow depth of field via a large frame camera and still or cinema lenses is a great cinematic camera technique, however, adding to that Christmas tree lights can increase your level of artistry. There are two ways this can be accomplished. First, adding these lights to your background and allowing them to blur. Whenever you are focused on the subject in your shot, the shallow depth of field will cause much of the background to blur. The warm halo that is produced around the lights as they blur in the background (referred to as the bokeh) can make the shot look great. Second, putting the lights in the foreground, close to the lens, will cause them to blur and create a great artistic flair. Add to all of this a little camera dolly move, and you have the recipe for a Christmas miracle, like this. Using a camera with a large frame sensor is pretty to easy to do. Pretty much any DSLR will do. you could also try a Sony NEX-EA50M or a Sony NEX-FS700. It is also best to use a fast lens. This means a lens that has an F-stop of 2.8 or lower. This means you will have a large aperture which will allow you to get lots of light into the camera, this in turn means shallow depth of field. One of the hallmarks of a feel good Christmas look is very warm, soft light. Big time directors of photography know how to get their actors to look smooth and silky on film by creating beautiful light. One of the tricks is to double diffuse your light source. Here’s how that works. The first thing is to diffuse your light source itself. This can be done by securing diffusion from a company like ROSCO. Wrap your light with some very light diffusion like “Opal Frost.” This begins to even out your light source and minimize hot spots. Then set your light and subject as you frame up your shot. Finally, add a large piece of diffusion, like a 4’ by 4’ piece of “1/4 White Diffusion” halfway between your light and your subject. The diffusion in the first light will evenly fill the second diffusion, then the light of the second diffusion will have a very soft, wrapping look, like this. If you are looking for a light kit that will help get this done, try a compact fluorescent kit, a standard tungsten kit or, an LED kit is very nice. Don’t skimp on the soundtrack. Christmas is music. The last thing you want to to have all these great looking things in your film and ruin it all by having the wrong music. Music makes everything either better or worse. It is amazing how you can edit a video project and then when you add music and it lifts it to a new level. So, check out this fantastic playlist to get some creative ideas for music. Let’s get creative and don’t let this time of year bog you down. Remember, that we have so many great tools to help people see, feel and think about Jesus in new and creative ways. Try them out and see what happens. What project are you working on for this holiday season? Let me know in the comments section below. Great article! Thank you for introducing me to the awesome website of audio options. I’m already signed up and using it.